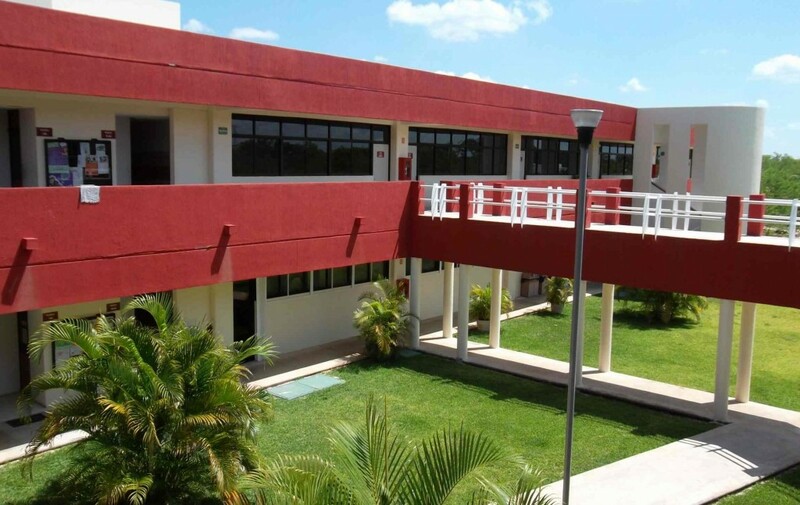 and made lasting changes in the field of Maya epigraphy as practiced by the Maya themselves. 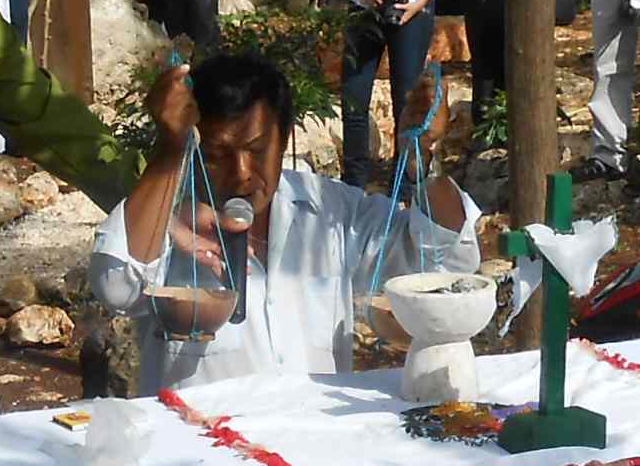 A traditional Maya saka’ ceremony began the week, performed by a well-known j-meen, or shaman, from nearby Xoken. Saka’ is a specially-prepared maize drink given as offerings to the protector beings in the spirit world and then consumed by the participants at the ceremony. 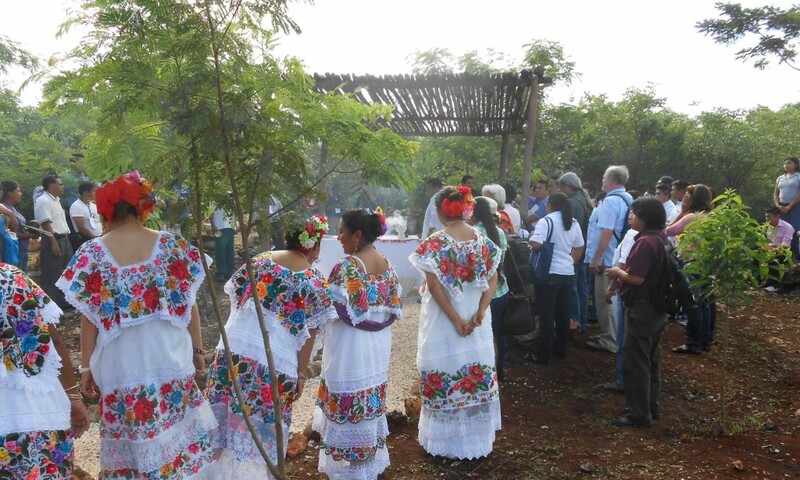 Beautifully-dressed “mestizas” in traditional garb of Yucatan helped to welcome us. 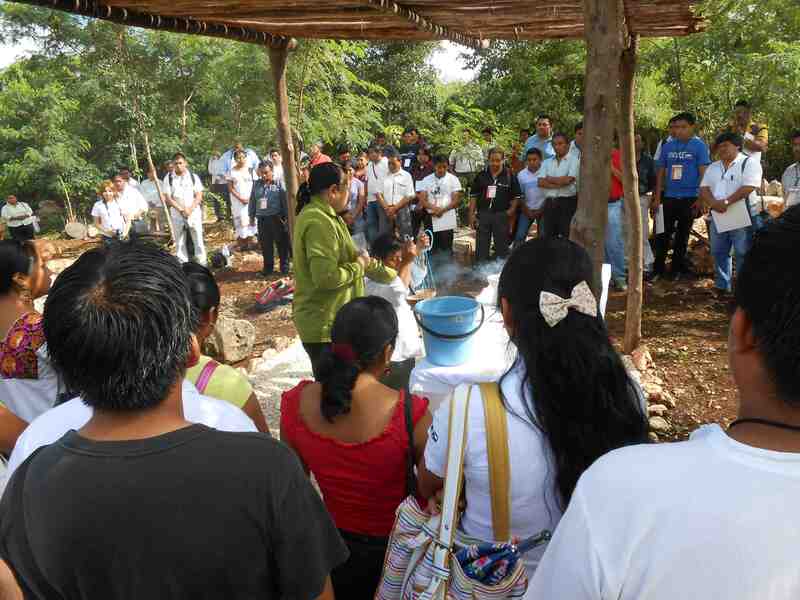 One or our hosts and co-organizers, Antonio Cutz, holds a microphone for the kneeling j-meen so we can all appreciate the prayers, which mention native spirit beings like balams along with Catholic saints and sacred places, like certain cenotes. 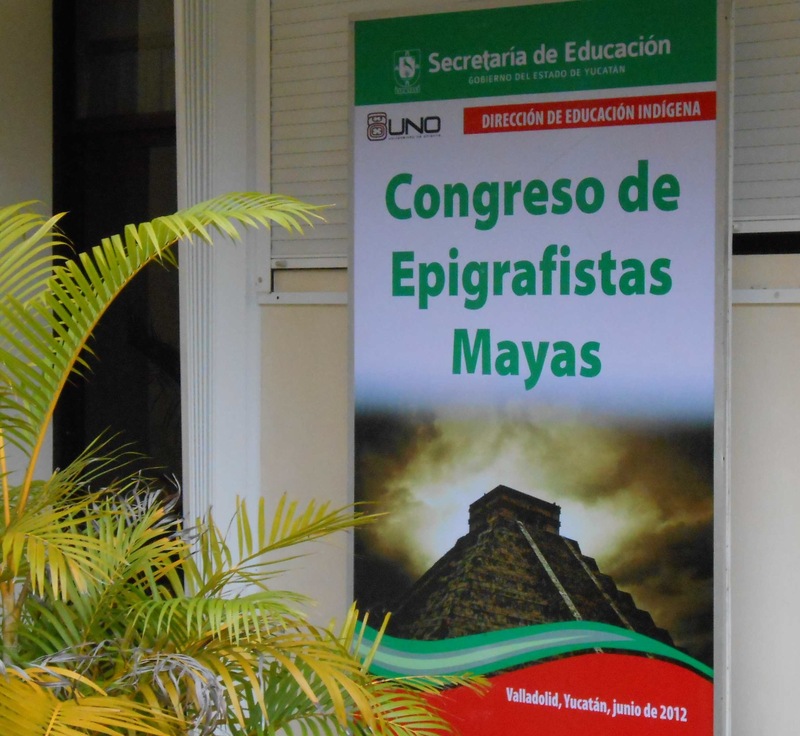 The title of our last blog was “Epigraphy is so much more than epigraphy.” Could we have more proof than a religious ceremony to begin a week of glyph workshops? 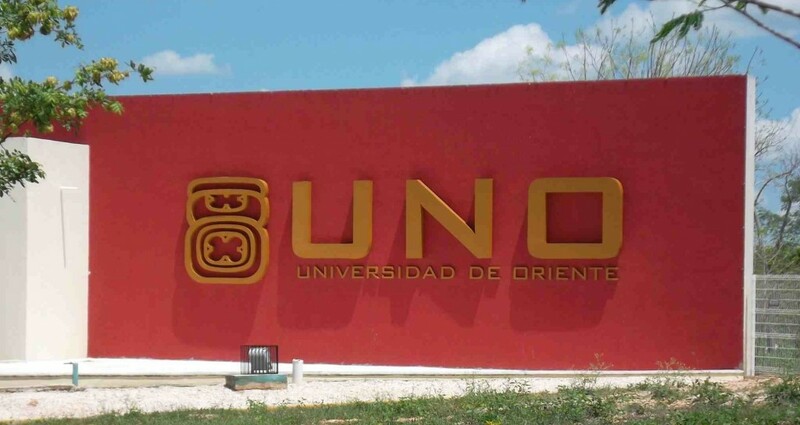 After the ceremony and after registration we all went inside for a more academic-style inauguration with the hosts and co-organizers taking their bows, after which the nuts-and-bolts epigraphic workshops began in earnest. 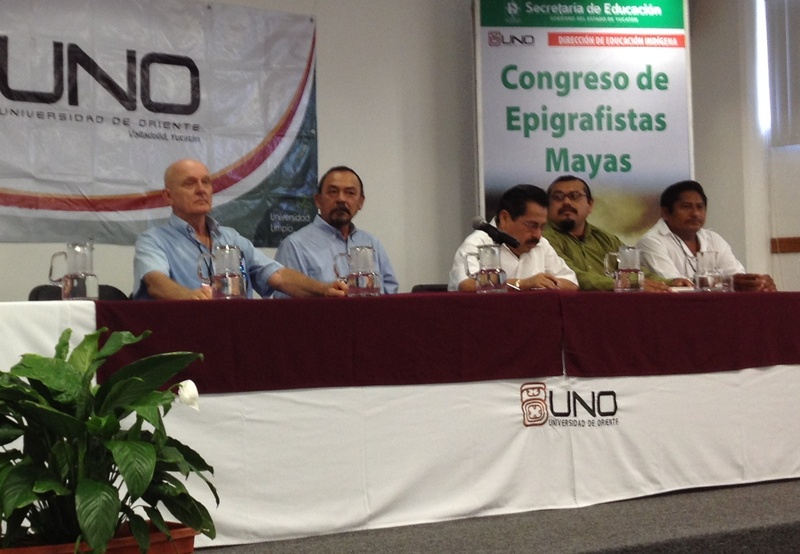 At the inauguration after the native ceremony we had Dr. Bruce Love, President of MAM, Dr. Carlos Bojorquez Urzaiz, Rector of la UNO, Wilbur Dzul, Director of Educación Indígena, Antonio Cutz, coordinator and host for UNO, and Crisanto Kumul, teacher, co-organizer and representative for Secretary of Education for the State of Yucatan. We at MAM can be very proud to have our logo on the official event announcement and to be first-named among the sponsors along with these important institutions from the State of Yucatán. 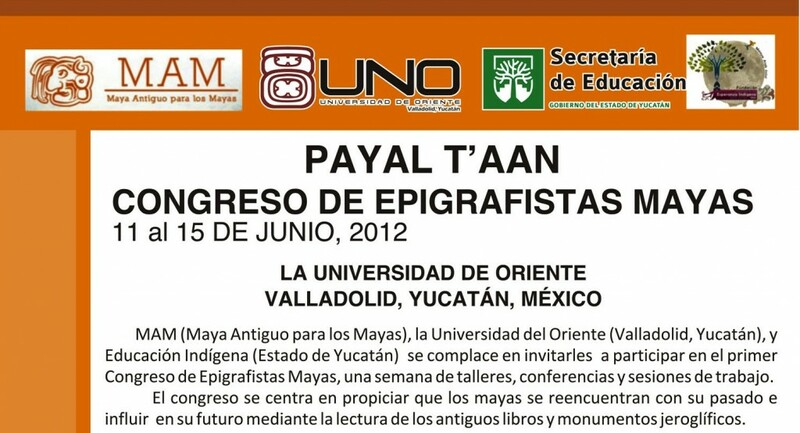 In upcoming blog posts we will witness and share the excitement of the first international Congreso de Epigrafistas Mayas.